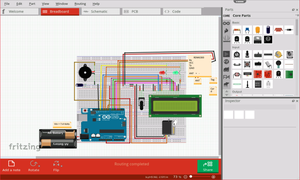 A software tool that allows users to document and share prototypes, and teach electronics. 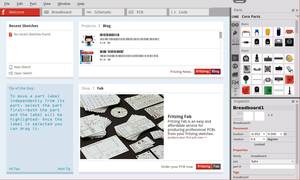 Fritzing is an initiativeto develop amateur or hobby CAD software for the design of electronics hardware, to support designers and artists ready to move from experimenting with a prototype to building a more permanent circuit. It was developed at the University of Applied Sciences of Potsdam. The software is created in the spirit of the Processing programming language and the Arduino microcontroller and allows a designer, artist, researcher, or hobbyist to document their Arduino-based prototype and create a PCB layout for manufacturing. 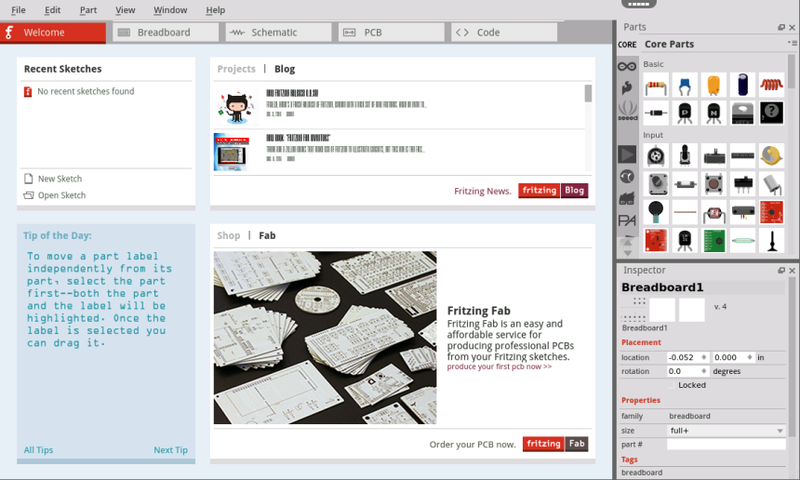 the free version atleast is quite laggy - but it does work, for very small things. ... if the lag was halved id say its 3 or maybe 4 stars but right now its so severe that it limits the usabilty quite alot. Brilliant, personally my favourite, only thing though should have simulator. It is laggy, not that useable. 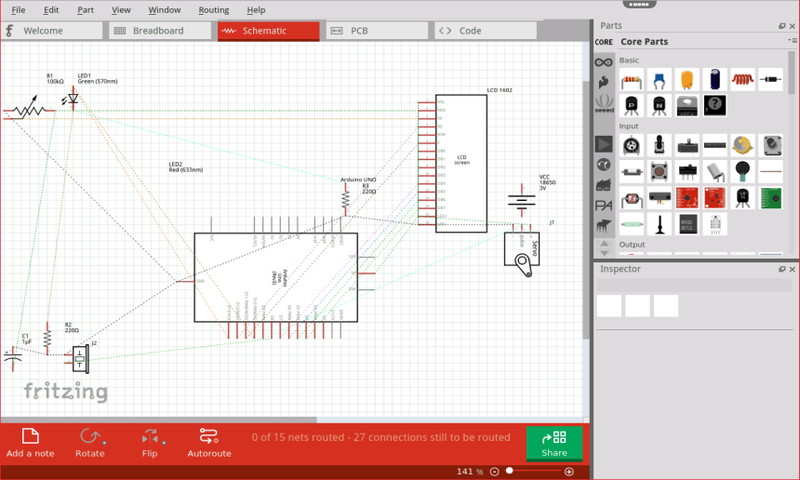 Working great so far! Thank you!